A stunning satin garter featuring sparkling beaded embellishment with a coordinating toss garter. 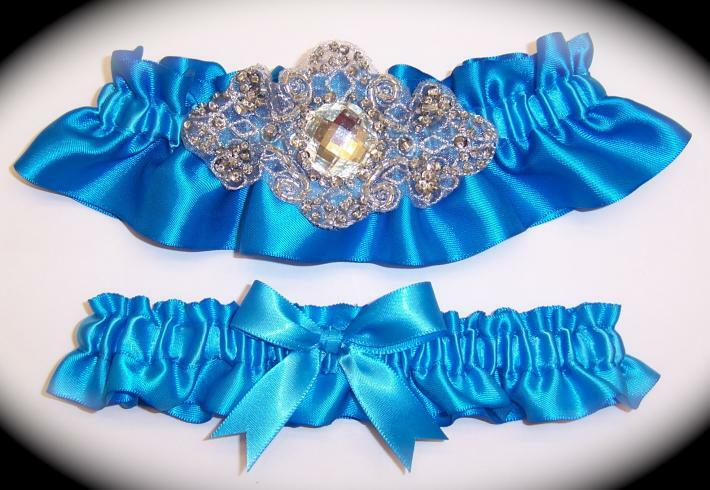 Each keepsake garter has a tiny blue bow tucked on the inside of the garter for a touch of "Something Blue." Our garters stretch comfortably to 22". Plus size and custom sizing is available upon request at no additional charge. Our garters come packed safely in a box so you can be sure they will arrive as beautifully as they were shipped out. 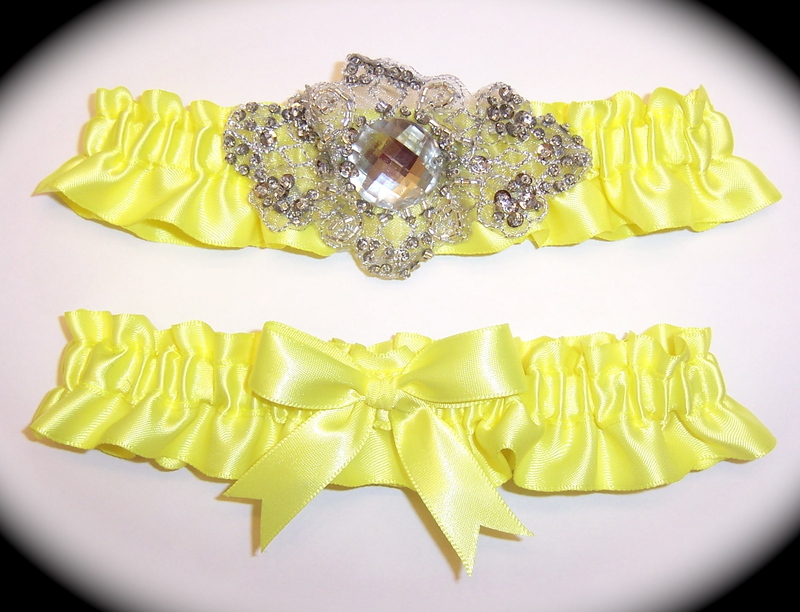 Please visit our website www.gartersbykristi.com to view our full line of gorgeous wedding garters.